完整文稿请关注周末微信，或登录以下网址： http://english.cri.cn/7146/2014/08/22/2582s841404.htm This is NEWS Plus Special English. I'm Mark Griffiths in Beijing. Here is the news. A nature reserve in Central China's Henan Province is to build two cable bridges over a reservoir to allow macaques to migrate. Each bridge will be more than 250 meters long and 10 meters above the water, allowing 150 macaques to pass at the same time. Construction is due to be completed in October. More than 3,000 macaques live in Jiyuan Nature Reserve and at least 500 of them move between forests on both sides of the Qinhe River, a tributary of the Yellow River. However, this journey is cut off by the Hekou Reservoir, which is a key to flood control on the river and the lower reaches of the Yellow River. There used to be four bridges for monkeys over the Qinhe River, but as the reservoir was filled up, all the bridges became submerged. If the monkey population is broken up to two separate groups, it will affect their breeding behavior and eventually their survival. The project costs 5 million yuan, or around 814,000 US dollars. It also includes the construction of monitoring bases and food stations for the macaques. This is NEWS Plus Special English. The assembly of China's next mega metropolis may leave architects and civil engineers feeling left out. Developers with China's Tianhe-1A, one of the world's fastest supercomputers, are tapping into the binary brain's higher functions, moving it beyond animation and Internet financing to help in the construction of new "smart cities". According to the National Supercomputer Center in Tianjin, a port city more than 100 kilometers southeast of Beijing, the Tianhe-1A can digitize the planning, designing, construction and property management of buildings in a city. The costs and building materials, down to which types of cement and steel are needed, can be figured out through the computer's virtual design software prior to the completion of a building. For example, big data-based modeling of a subway project can reduce construction costs by 10 to 20 percent. The big data platform has been used in underground construction projects. With a sustained computing speed of 2,500 trillion calculations per second, in the future, Tianhe-1A will be widely used in urban planning, meteorological forecasting, bio-medicinal research and equipment production. Tianhe-1A has had more than 600 users and is carrying out more than 1,000 computing tasks per day. 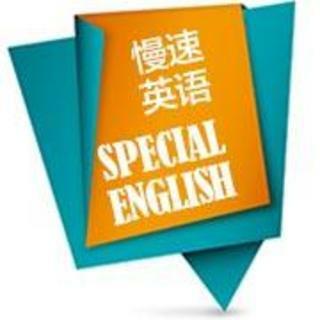 You are listening to NEWS Plus Special English. I'm Mark Griffiths in Beijing. In 2025, self-driving cars could be the norm, people could have more leisure time, and merchandise could become cheaper. Or, there could be chronic unemployment and an even wider income gap; human interaction could become a luxury, and the wealthy could live in walled cities with robots serving as labor. Or, very little could change. A new survey in the United States found that, when asked about the impact of artificial intelligence on jobs, almost 1,900 experts and other respondents were divided over what to expect 11 years from now. Almost half of the respondents said robots will kill more jobs than they create, and others said technology will create more jobs than it destroys. Respondents also varied widely when asked to elaborate on their expectations of jobs in the next decade. Some said that self-driving cars would be common, eliminating taxi cab and long-haul truck drivers. Others said that people should expect the wealthy to live in seclusion, using robot labor. Experts concluded that even as technology removed jobs such as secretaries and operators, it created brand new jobs, including Web marketing. And, as the experts and other survey responders noted, 11 years isn't much time for significant changes to take place, anyway. This is NEWS Plus Special English. There may be itsy-bitsy aliens among us. Scientists say seven microscopic particles collected by the United States Space Agency's comet-chasing spacecraft, Stardust, appear to have originated outside our solar system. If this is confirmed, they will be the world's first sampling of contemporary interstellar dust. The dust collectors were exposed to what is believed to be the interstellar dust stream in the early 2000s and returned to Earth in 2006. Since then, scientists worldwide have reviewed more than 1 million images in search of elusive tracks made by incoming particles. The researchers said the suspected interstellar particles are very precious. They are surprisingly diverse, and some are fluffy like snowflakes. The particles are going fast, at 10 miles per second. The dust is around 50 or 100 million years old and is considered young by cosmic standards. Additional testing is needed before concluding these seven specks are truly from outside our solar system. NASA launched Stardust in 1999 to collect debris from Comet Wild-2. The Stardust capsule parachuted back to Earth, landing in the Utah desert in the United States seven years later.